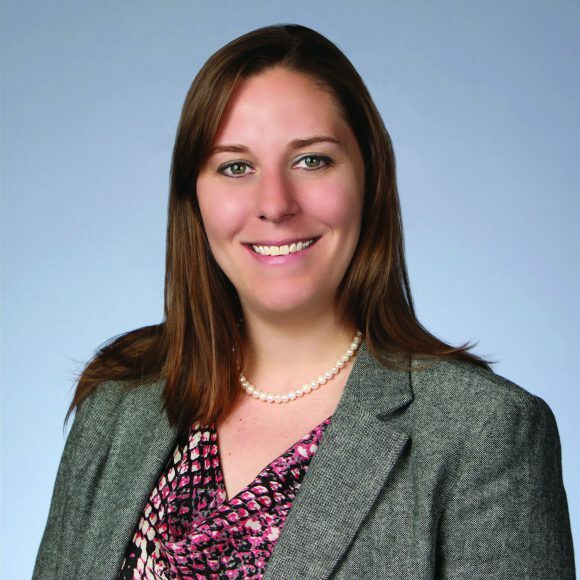 Share the post "Fast Track, Young Alumni on the Move: Megan Linkin (CC’04)"
Megan Linkin CC’04, Meteorology and Mathematics. Explorations, the bi-annual magazine of the School of Environmental and Biological Sciences, features profiles of recent graduates who have launched successful careers and may well be on their way to making headlines for their work. The editors posed a series of questions about how their Rutgers experience influenced their lives. Here is one such profile that appears in the Spring 2017 issue. I work for Swiss Re, a large global reinsurer, in our Global Partnerships team, which focuses on developing insurance solutions for government clients. I’ve been working in the insurance industry since I finished graduate school in 2008. The insurance industry is very vibrant with opportunities in many different areas of expertise. 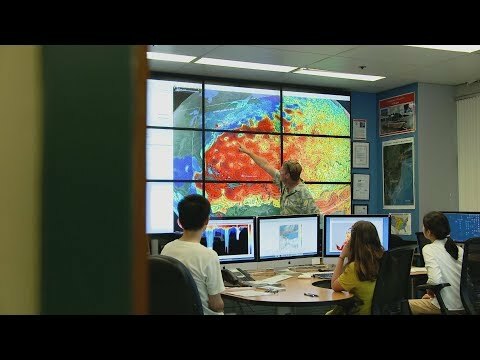 Whether you study climate change, computer science, business, or pre-med, the insurance industry has a role for you! However, there is a perception problem that is affecting our recruiting the next generation of talent. We need to do a better job at selling the exciting careers that the insurance industry has to offer, and that is why we are part of an industry-wide movement called Insurance Careers Month. Q: How did Rutgers contribute to your success in your career? A: Cook College, as SEBS was called at the time, fostered an environment where you could grow and enhance your leadership skills by participating in Cook College Council (CCC), Student Orientation Ambassadors, Alpha Zeta, and other student organizations. During my time at Cook, I was the meteorology representative to the CCC during my junior and senior years, and the Chancellor of Alpha Zeta in 2003. My participation in these organizations allowed me to hone my leadership skills, listening skills, and public speaking skills, which have served me well in my career. On a personal note, it was my undergraduate adviser, Alan Robock, suggesting my name to The New York Times for one of their Young Professionals profiles, that led me to meet the man who is now my husband! A: I received my Ph.D. in 2008 from the University of Maryland in atmospheric and oceanic science, and about three months before graduation, I realized I didn’t want to go into research or academia. I spent significant time doing some soul searching. I was very lucky to find an industry where I could both apply my skills and build new skills in business and economics. Q: Does a pivotal, “ah-ha” moment come to mind when you look back on your time at Rutgers? A: I’m not sure there’s just one moment; I was very fortunate to have wonderful deans at Cook and professors in my program who convinced me—no matter what career path I chose—to make a difference in the world. Q: What memories of college do you hold dear? A: So many. Rutgers and Cook hold such a special place in my heart. I am fortunate to have kept in touch with many friends from college, both near and far. Even the ones who I don’t see often, when we see each other, we pick up right where we left off. Q: What is your next step? What can we look forward to? A: I hope to continue to grow my business skills and knowledge at Swiss Re and in the insurance industry. There are so many interesting topics that the insurance industry is working on: renewable energy, food security, self-driving cars, smart homes. I also hope to work more on environmental advocacy; climate change and the environment are important topics for me. Q: What gives you the most pride about being a Rutgers graduate? Editor’s Note: This Fast Track profile originally appeared in the Spring 2017 edition of Explorations.